Thursday, Apr. 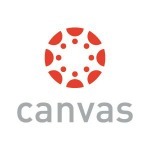 18, 2019, 1 – 2 p.m.
Join Erin Riesland for a hands-on introduction to designing engaging and interactive Canvas content. Some of the tools covered are Spark, Genial.ly, Canva, Padlet and much more. Each workshop is tailored to attendants' specific needs and questions. Best practices in pedagogy, interaction design, and layout emphasized.